The Trianon floor lamp is presented with a chic, contemporary tri pronged base. The three elegant metal limbs extend upwards to unite with a classic, stylish satin shade. The fusion of contemporary base design, alongside sophisticated shade fabric is a modern interpretation of the perfect style statement. A signature addition in any living area, bedroom or hallway for a stylish, striking design feature. Contrast the slim, modern tripod base alongside a statement vibrant drum shade for the ultimate luxurious look. 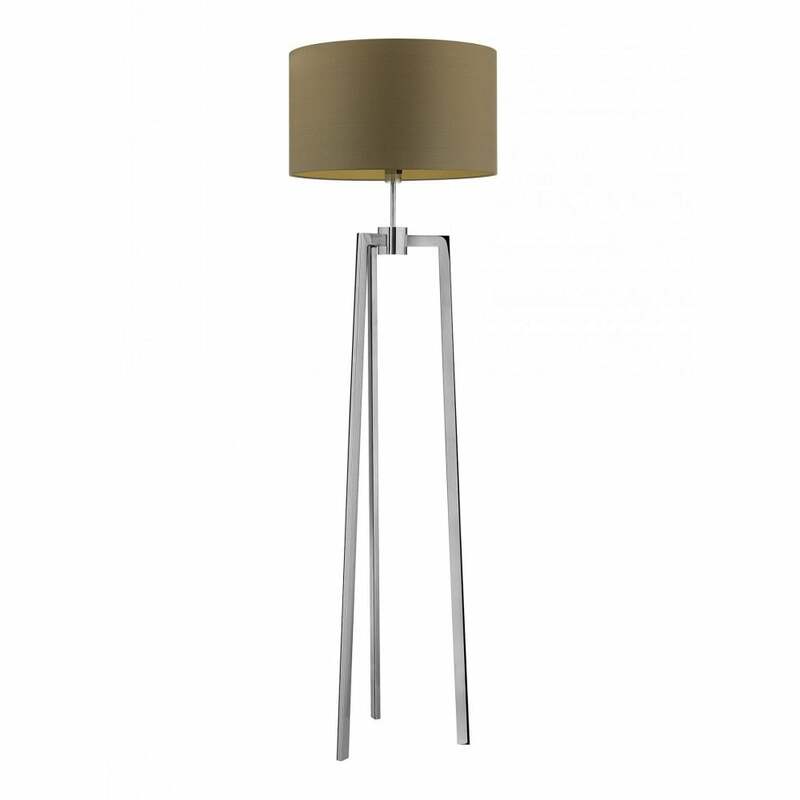 The Trianon floor lamp is available in a chrome finish with a variety of shade options to choose from. Priced for 22" Flat Drum shade in silk with white PVC lining. Please contact us for other options.